If you are a job board then you are obviously dealing with many job seekers. As a PeopleMaps Partner you may offer them all a free personality report and when they go on and buy a more detailed report you can enjoy a revenue share. 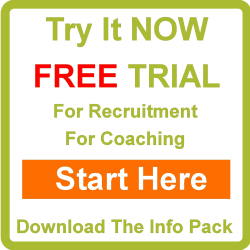 The basic psychometric report is free and job seekers may add additional chapters from as little as £2.50 ($5). There are several of these covering different topics. Job seekers will love you for offering the freebie. We know this because we get great feedback and over 1 million job seekers have used it to date.